Bouldevines wines are grown on a single vineyard owned by Philip & Janey Walsh on Dog Point Road. Philip and Janey have been growing grapes on this vineyard for over 30 years. After Philip suffered a debilitating accident, the family decided to secure their future by launching their own wine brand, Bouldevines, in 2005. The name Bouldevines, is inspired by the key characteristics of the vineyard – being boulders and vines! 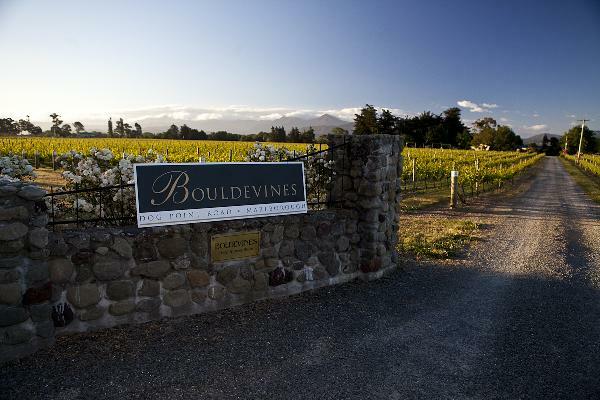 Bouldevines create a range of premium, single vineyard Marlborough wines. Growing in boulder-studded soil, these quality wines turn adversity to advantage. Much like Philip & Janey themselves.